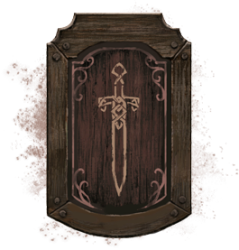 The Fighters Guild skill line focuses on abilities which have powerful effects on Daedra and Undead. When facing Undead or Daedric enemies in Elder Scrolls Online, it’s a good idea to have a couple of Fighters Guild skills at hand. A good thing to notice is that active Fighters Guild skills cost Stamina as resource. Killing Undead and Daedric enemies. This is a slow but sure way to rank up with Fighters Guild. You will only receive one experience point per normal Daedra / Undead enemy killed. The number is slightly higher for tougher enemies. Taking part in Dark Anchor events. Having a Fighters Guild ability slotted will also increase your rank with those skills, but at a very slow pace comparing to other skill lines for some reason. Fighters Guild skill line includes one ultimate skill, four active skills and five passive skills. The ultimate skills and active skills can be morphed when they rank up. Morphs change the original skill by tweaking it in one way or another. Each ultimate skill and active skill have two morph options. Once you have morphed an ability, it will replace the original ability. Morphing a skill takes a skill point. Deals 85 Magic damage to enemies in front of you. Deals 60% additional damage to undead and Daedra. While slotted, weapon attacks deal 10% more damage. Also knocks down Undead and Daedra. Deals 16 Physical Damage. Knocks down undead and Daedric enemies for 3.5 seconds. 5% chance on hit to banish undead and Daedric enemies, dealing 112 Magic Damage. Activating again pulls enemy to player and deals 16 Physical Damage. Also hits two nearby targets for 50% less damage. Creates an area of protection for 17 seconds. Friendly targets nearby have Armor and Spell Resistance increased by 60. Armor and Spell Resistance increased by an additional 60 against undead and Daedra attackers. Health regeneration increased by 25% for allies in area. When cast, undead and Daedra in the area take 11 Magic Damage and are feared for 4 seconds. 20% chance on hit to deal an additional 22 Magic Damage to Undead and Daedric enemies, for 10 seconds. Killing an undead or Daedra increases duration by 15 seconds. Deals additional Magic Damage when stealthed. Chance on hit to restore 300 Stamina when damaging Undead or Daedra. Places a trap at location for 24 seconds. Trap takes 4 seconds to arm then deals 26 Magic Damage and immobilizes closest enemy for 6 seconds. Undead and Daedra also burn for 45 Magic damage. Trap can be placed up to 28 meters away. Trap rearms once after firing. Allows you to Intimidate certain NPCs in conversations. Increase Weapon power and Spell power when attacking undead and Daedra. Gain 3 Ultimate when killing an undead or Daedra. Fighters Guild abilities that affect undead and Daedra also affect werewolves. Fighters Guild in Cyrodiil will offer you bounty quests.